I’m not much of a car show guy, preferring to tear up the back roads on a Sunday afternoon but with Alfa Romeo this years featured mark and a potential meet-up with some friends I couldn’t help but attend the 2008 Palo Alto Concours d’Elegance this last Sunday the 22nd of June at Stanford University. I spent a few hours in the hot sun taking pictures of interesting cars, talking to old friends and making new ones. There were some neat Alfas in attendance including an 8C2900, a TZ1, an immaculately restored Giulietta Sprint Veloce and others. 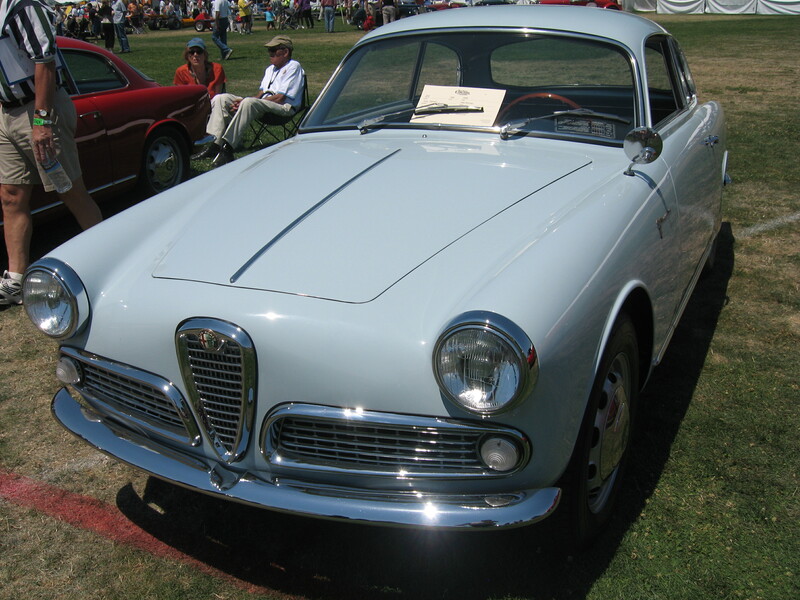 This 1958 Giulietta Sprint Veloce is the nicest I’ve ever seen in person. This car was made 38 cars before mine so there may not be any Veloces between this Sprint and mine. 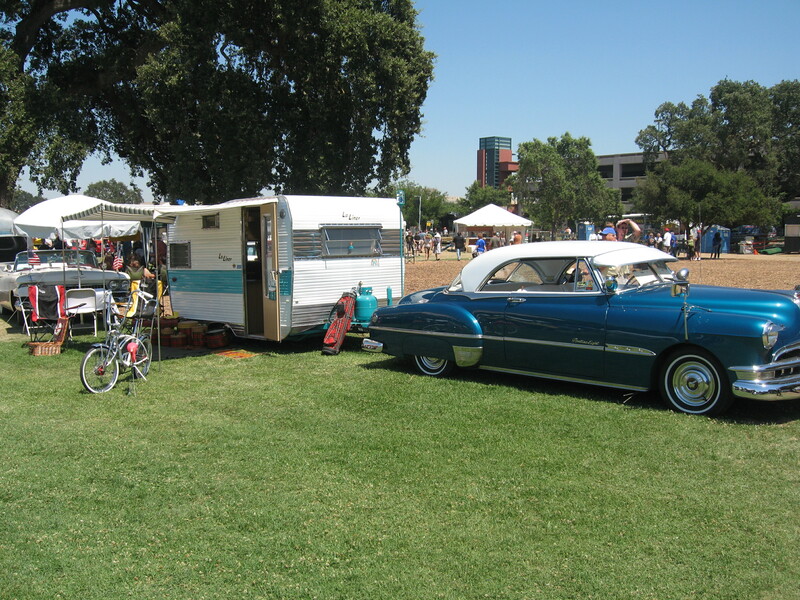 Corvettes and Vintage travel trailers were the other features at the event and I spent some time admiring the dedication, enthusiasm and in some cases obsession owners of these vehicles exhibit. The vintage travel trailer crowd seems to enjoy taking their 1940’s and 50’s Americana meets kitsch collections on the road as much or more than the trailers and towing rigs themselves which added a period feel to the whole exhibit that is sadly lacking in most shows. Below are a few of my favorite pictures from the show. The whole set can be seen as a slideshow here. 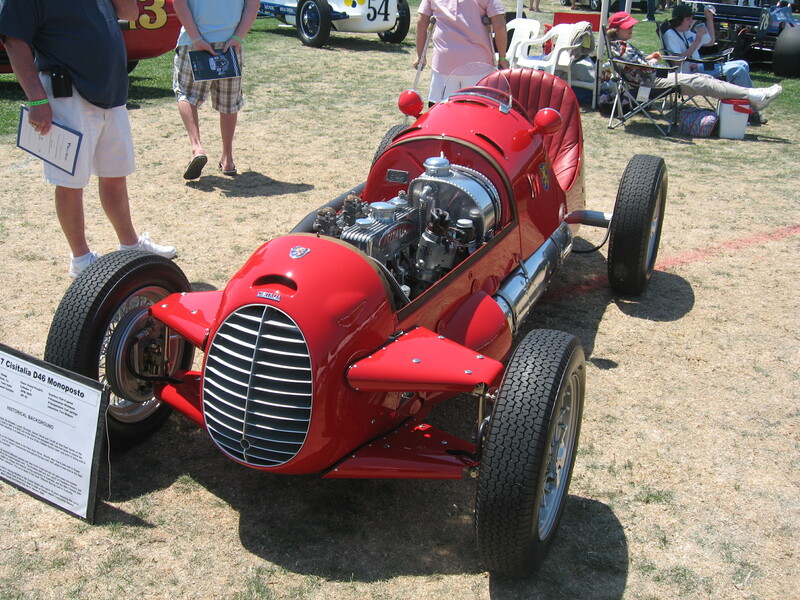 Fantastic Cisitalia D46 Monoposto drew and maintained a crowd throughout the day. TZ1 engine compartment is tight. The owner tells half the car has to come apart to do anything beyond simple maintenance. Look at that intake plenum! 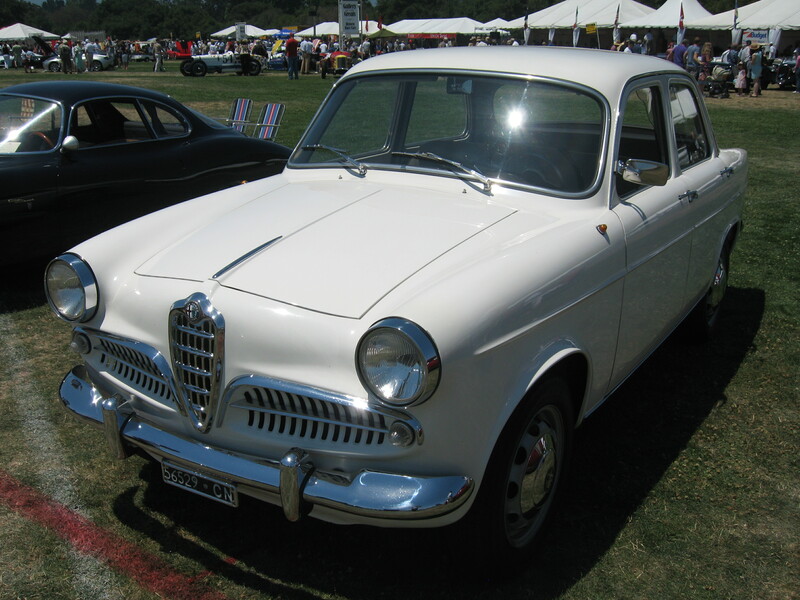 Giulietta TI’s are rare in the states. Early Alfa importer Hoffman didn’t see a market for them but if Volvo Amazon numbers are any indication, I’d imagine they would have done fine. I think when the my SS is done I will have to get one, maybe Martin will sell me this one. 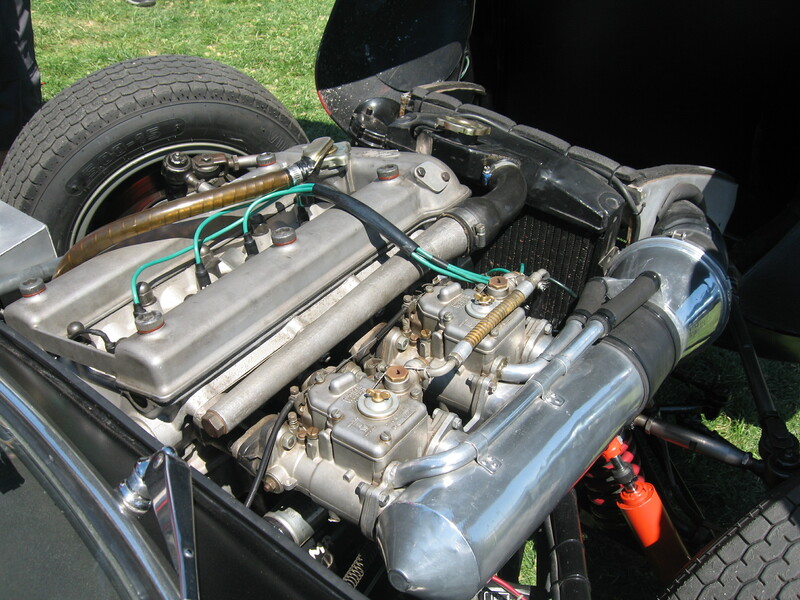 This entry was posted in Motoring Events & Shows and tagged car shows, cars, Classic cars, Vintage cars by Hamilton. Bookmark the permalink.